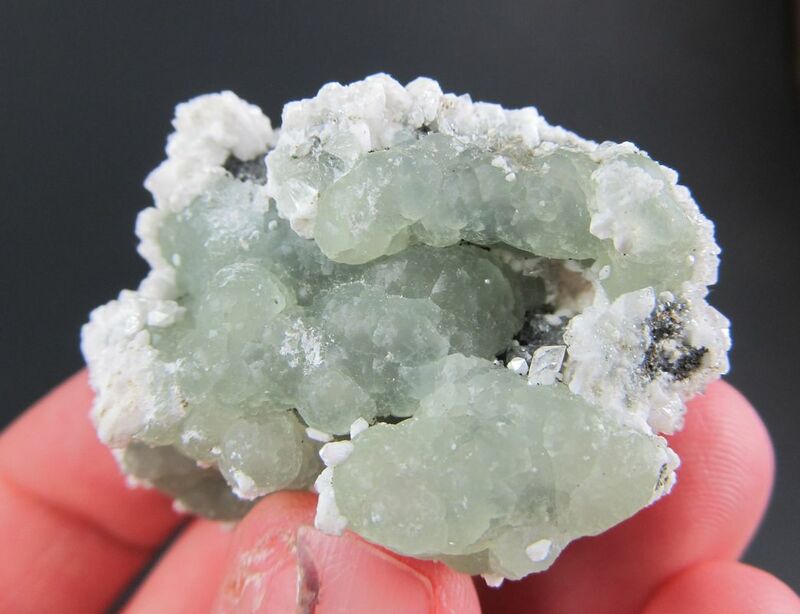 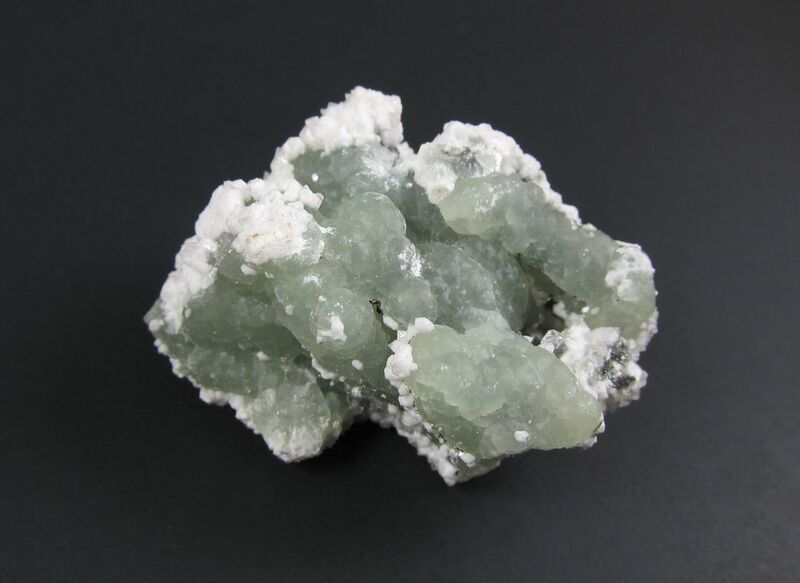 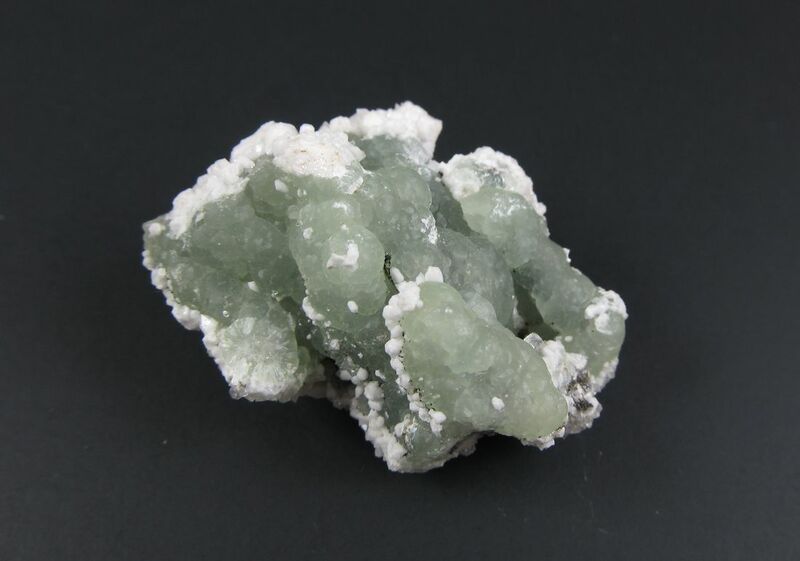 Competition level miniature smithsonite specimen from the famous Kelly Mine. 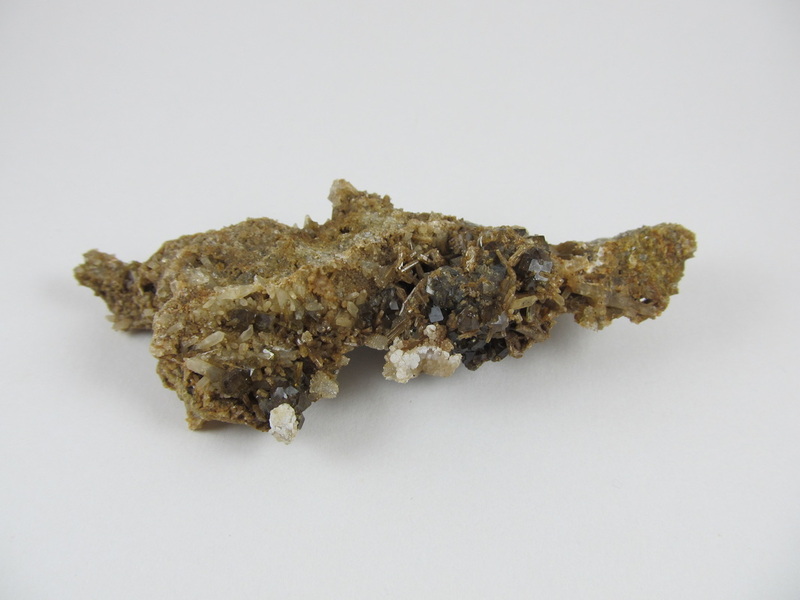 Has some associated minerals, appears to be druzy quartz and perhaps calcite. 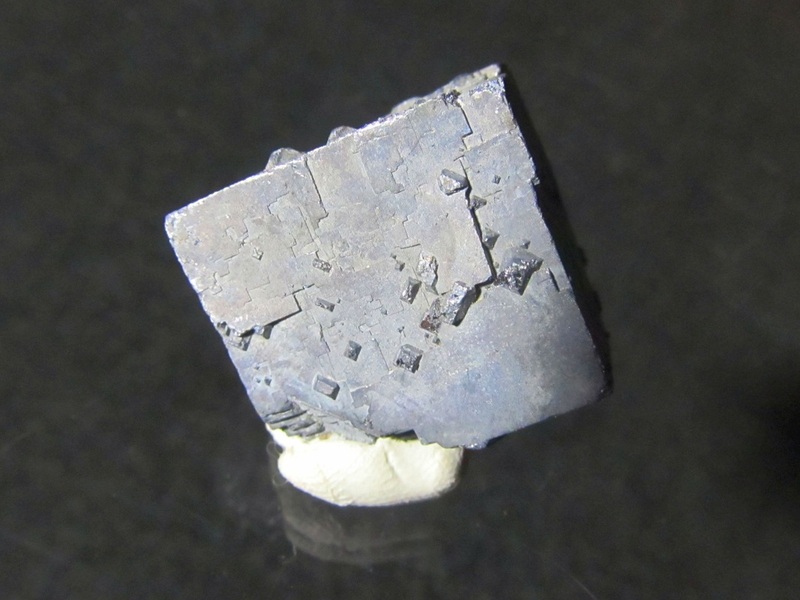 I picked up a parcel of this material years ago, and the only label was a simple "Idocrase" note. With much research, we believe these to be from the Portola area of Plumas County, California. 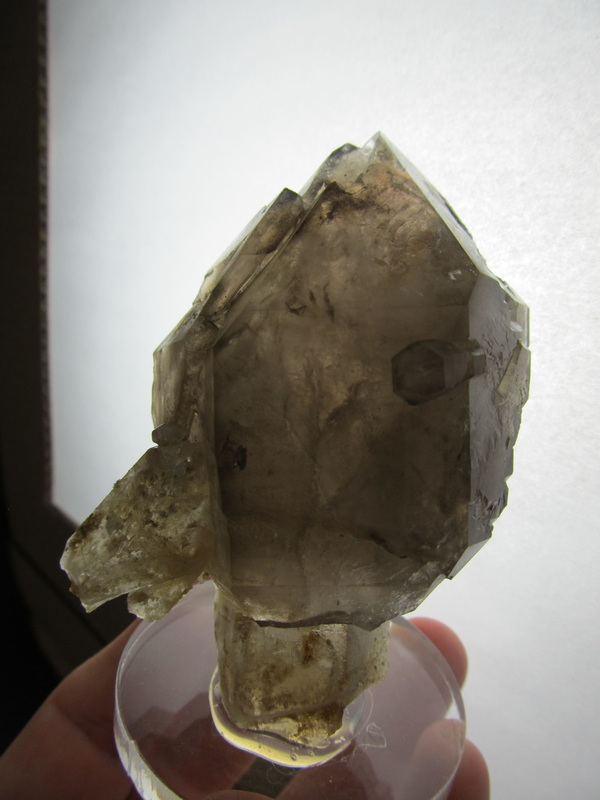 Here's a really funky doubly terminated floater quartz crystal from the Cryo-Genie Mine, Warner Springs, San Diego County, California. 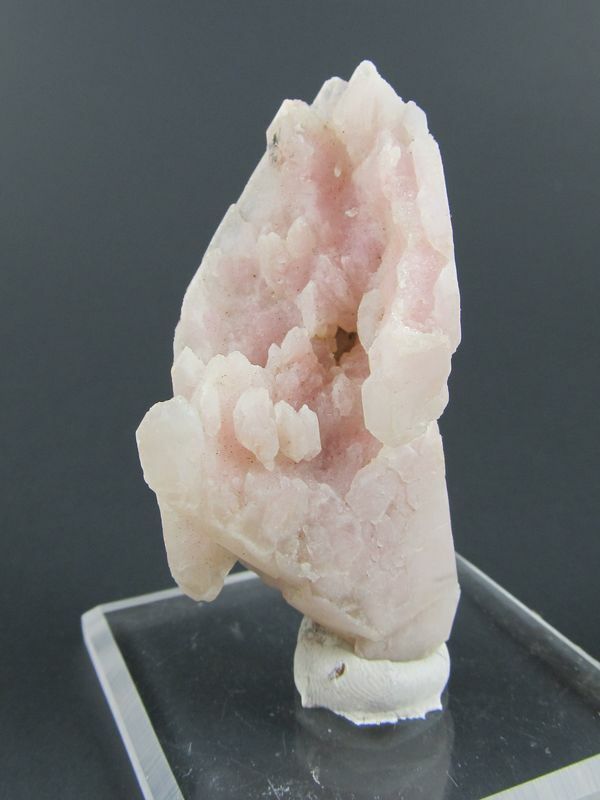 I swear it has a light pinkish color, but I'm partially color-blind and I always doubt myself. 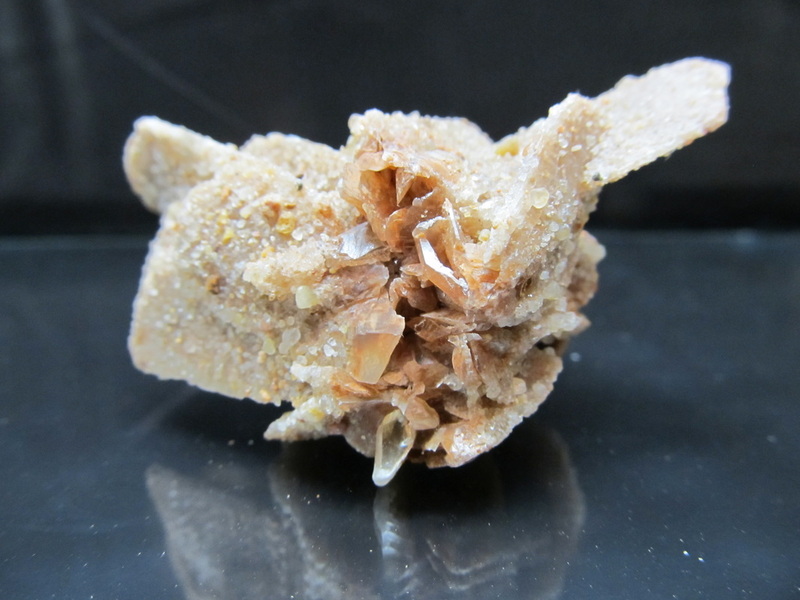 Here's a great cluster of several large spalerite crystals on a chert matrix, with an array of smaller druzy sphalerite. 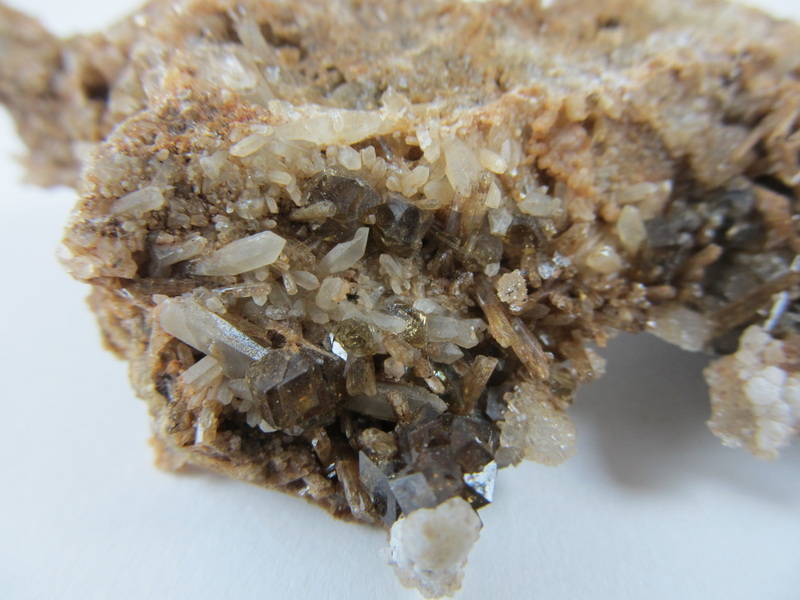 A couple of the large crystals have contacts/damage but is still very attractive. 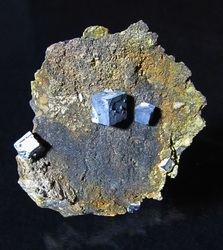 Beautiful Quartz and Pyrite combo from this legendary PNW locale. 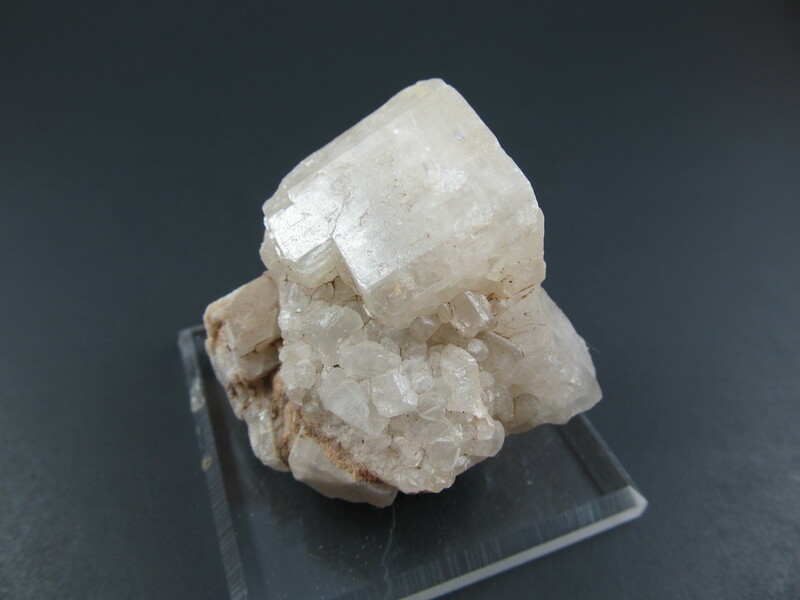 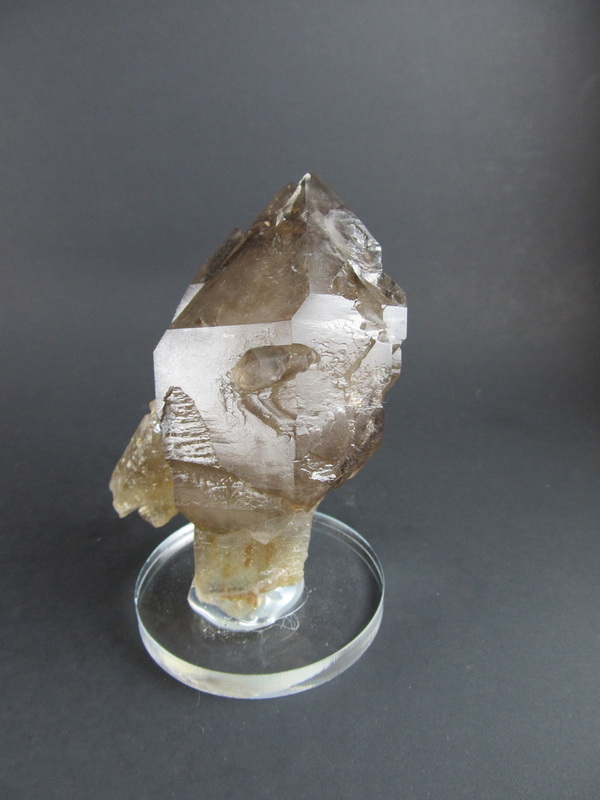 Here's a wonderful quartz crystal from a very uncommon locale, Coldfoot, Alaska. 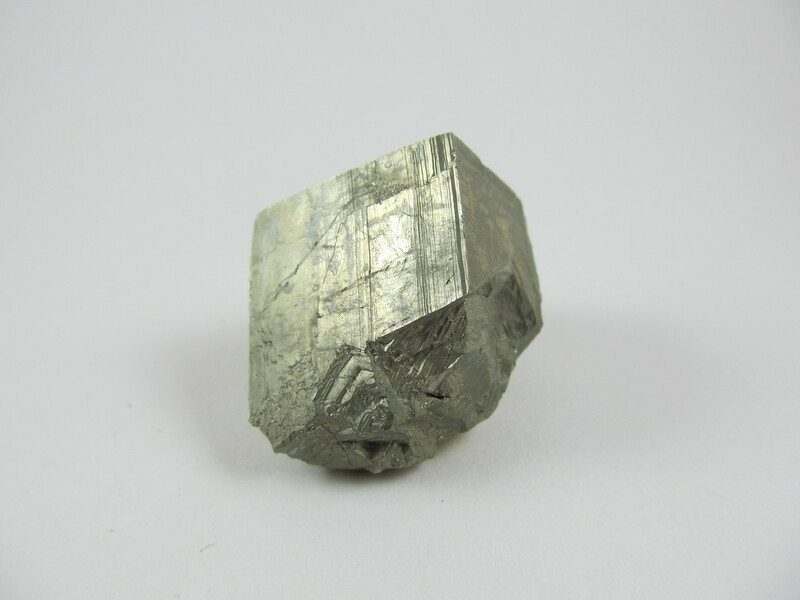 Coldfoot was originally a mining camp called Slate Creek. 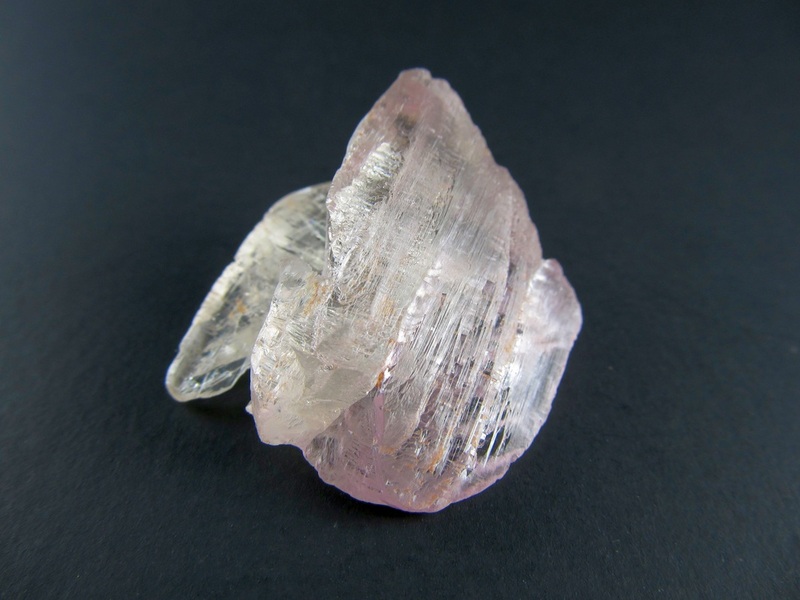 It got the name "Coldfoot" around the turn of the century when prospectors going up the nearby Koyukuk River would get "cold feet" and turn around. The camp had 2 roadhouses, 2 stores, 7 saloons, a gambling house and a post office. At the time of the 2010 census, Coldfoot had a population of 10. 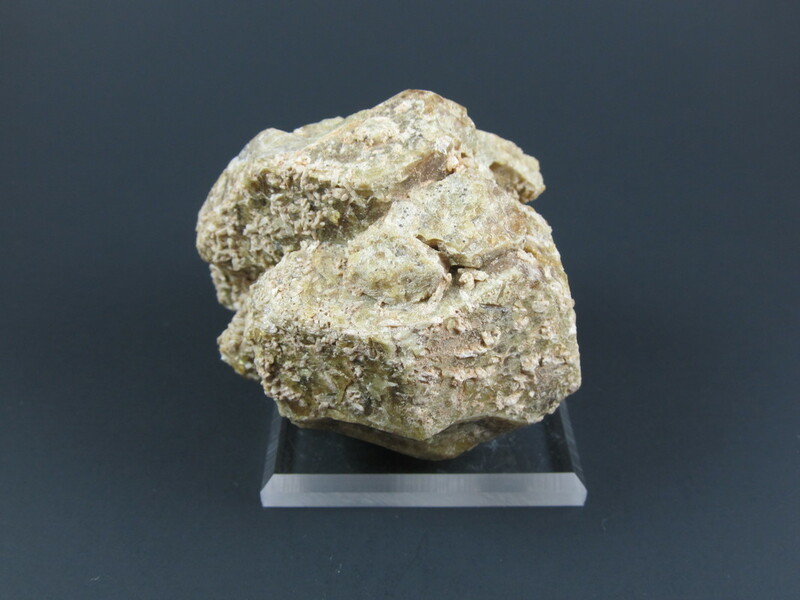 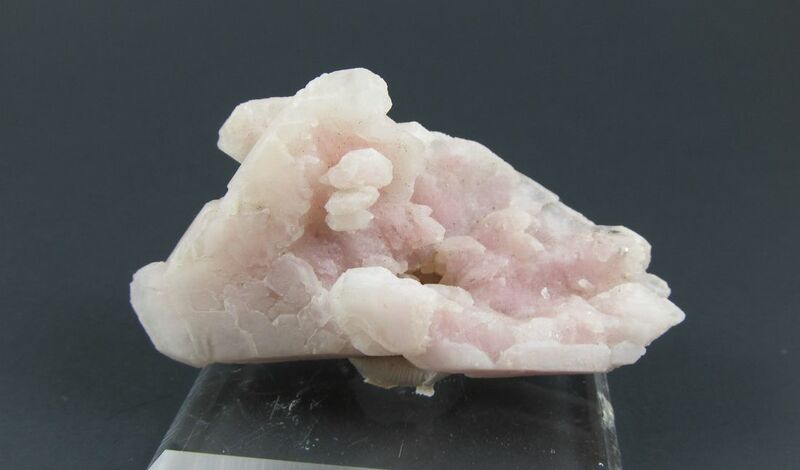 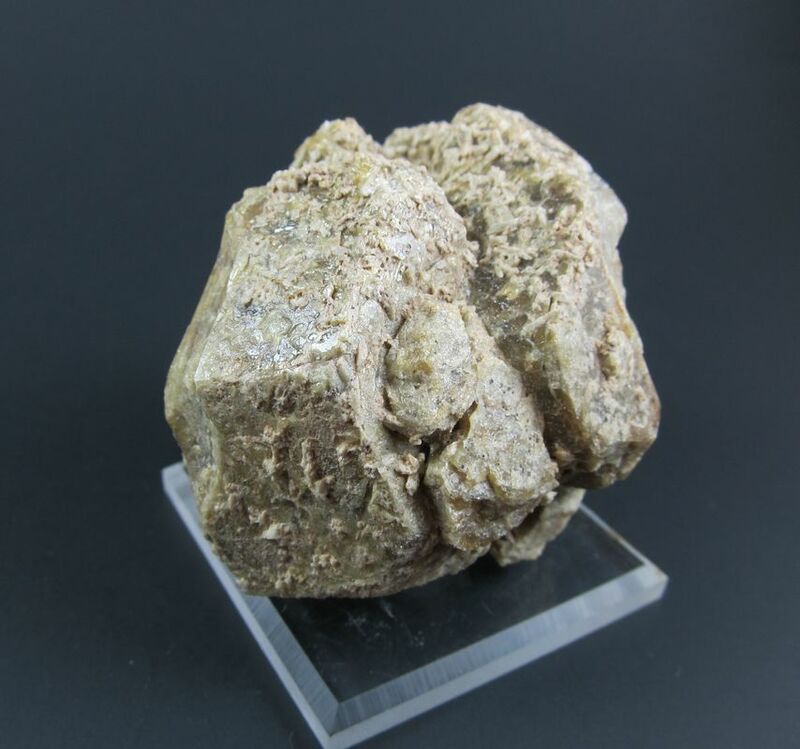 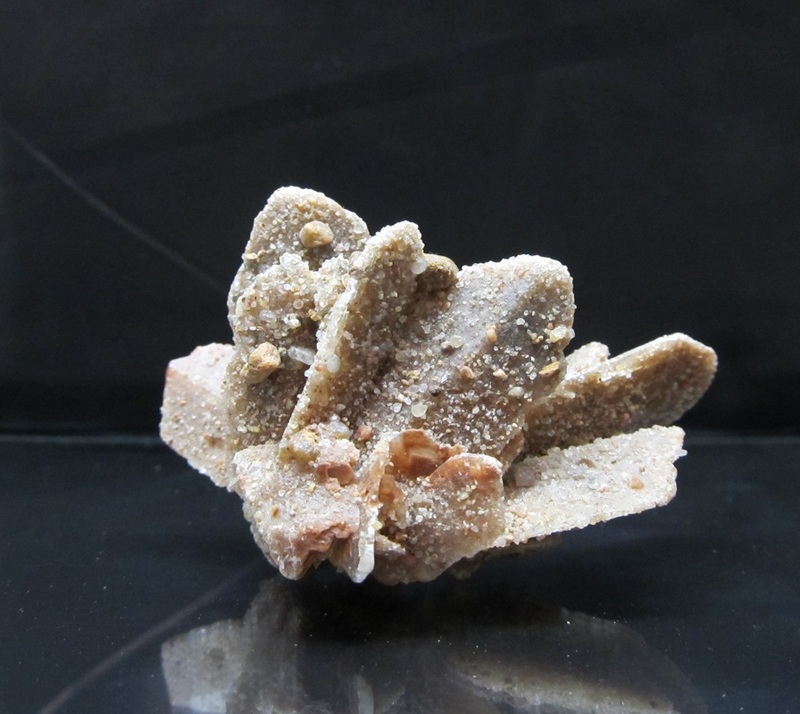 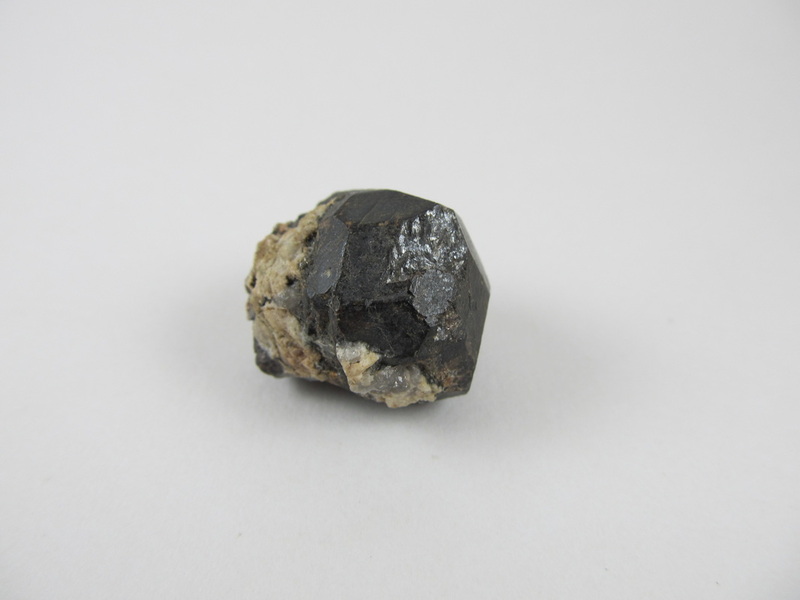 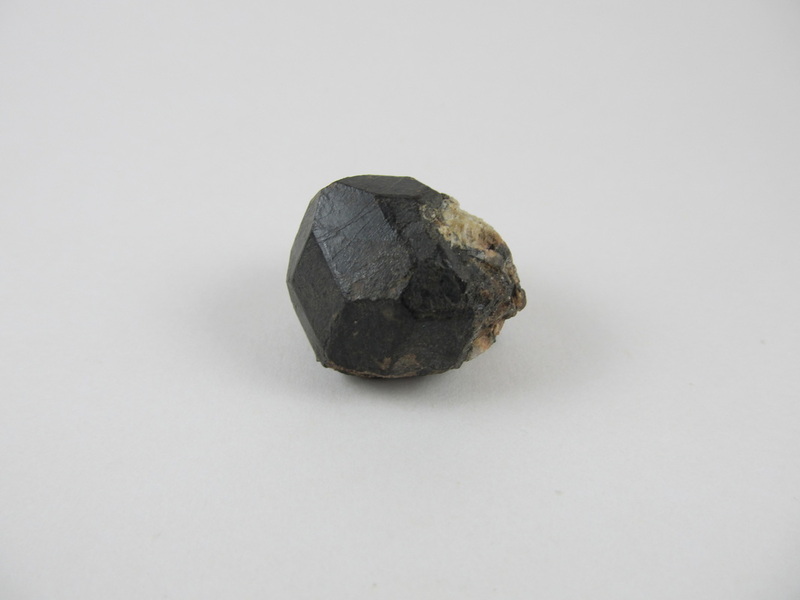 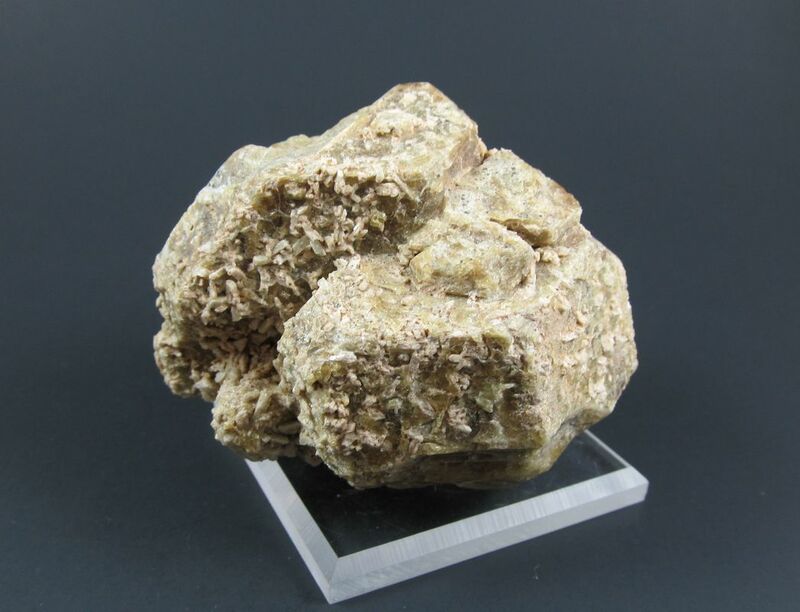 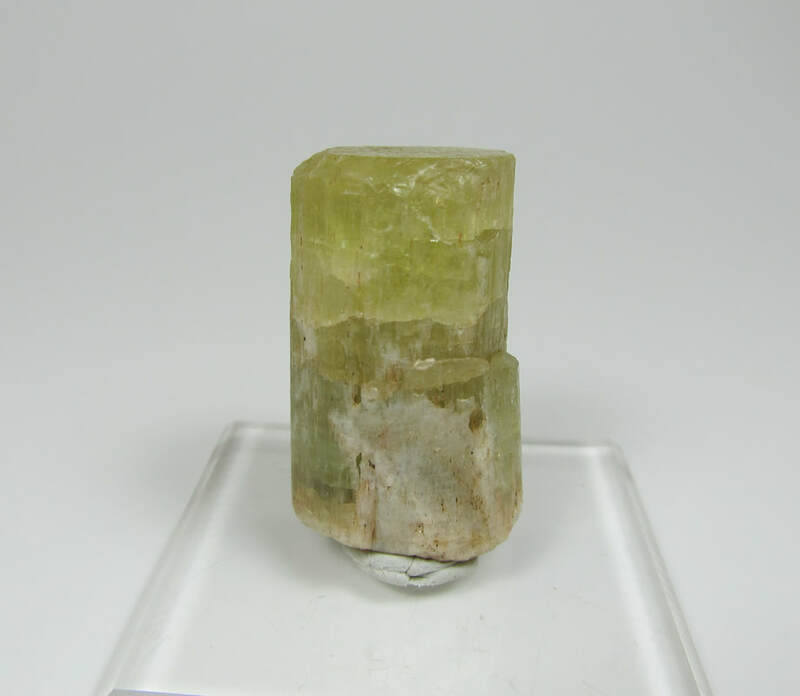 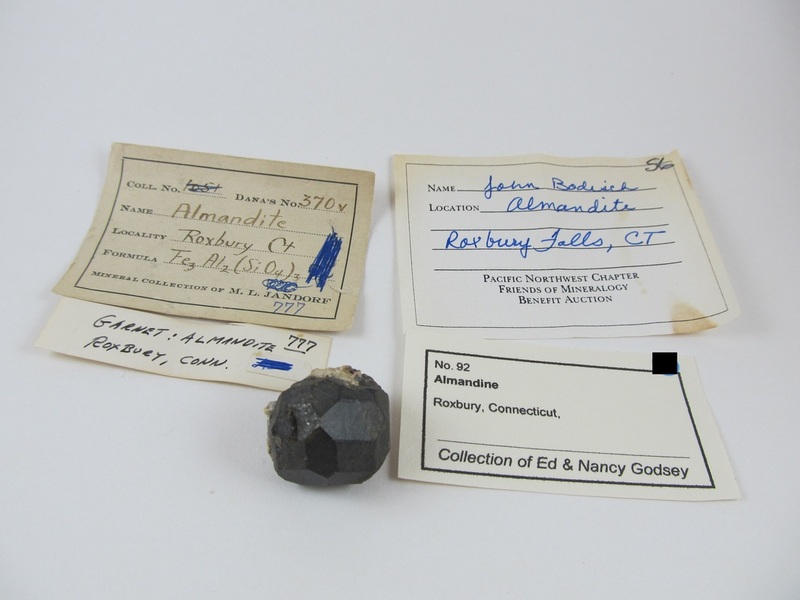 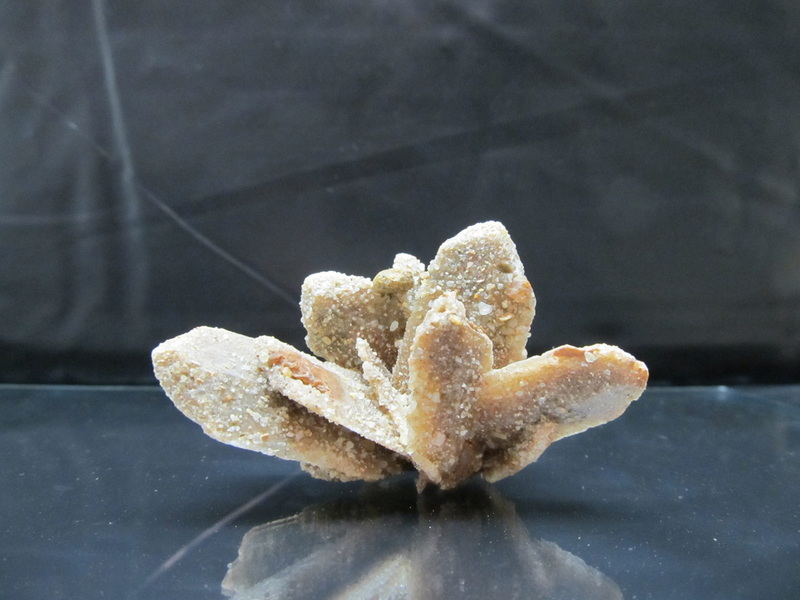 This specimen comes from a very old collection and could possibly date back to those original prospecting days. 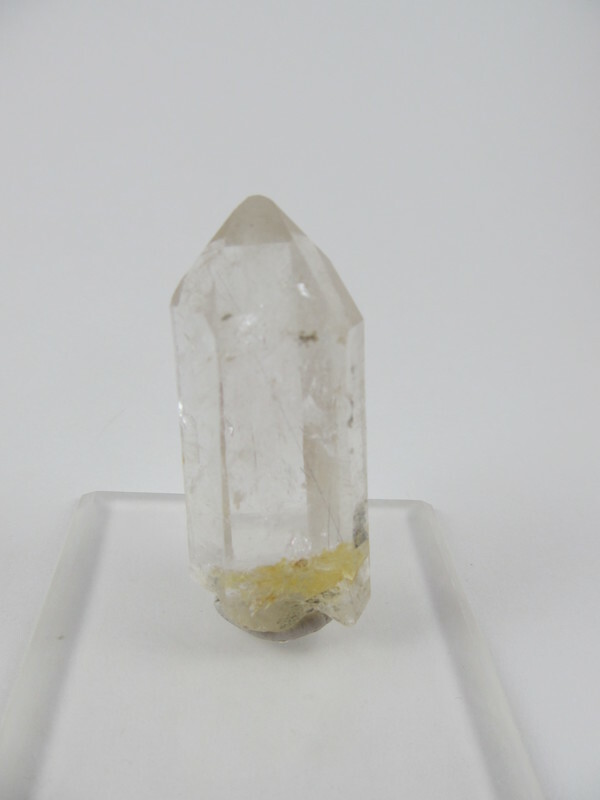 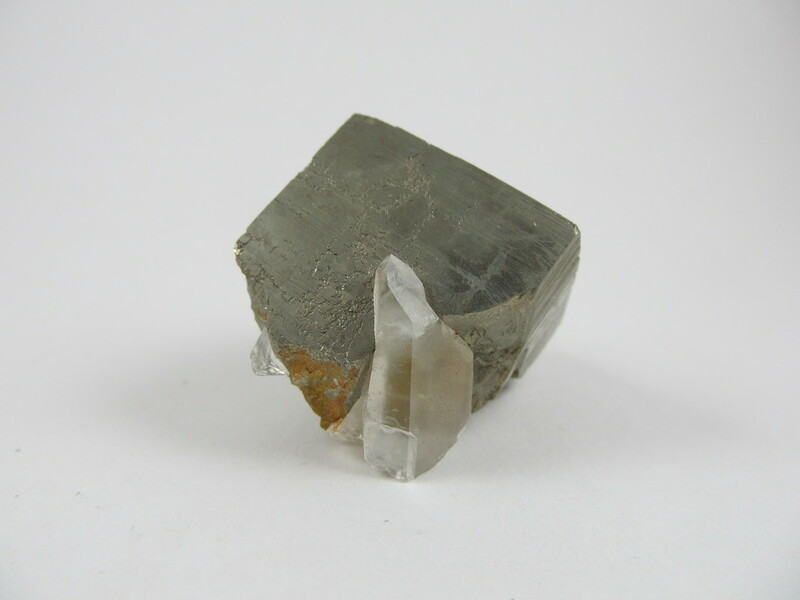 The crystal is in great shape and has a few hair-like inclusions of rutile and a healed bottom!! 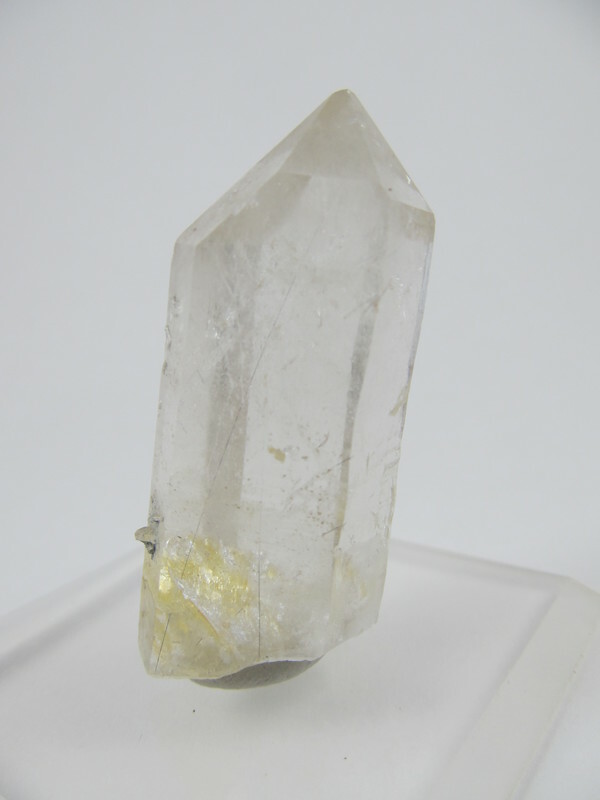 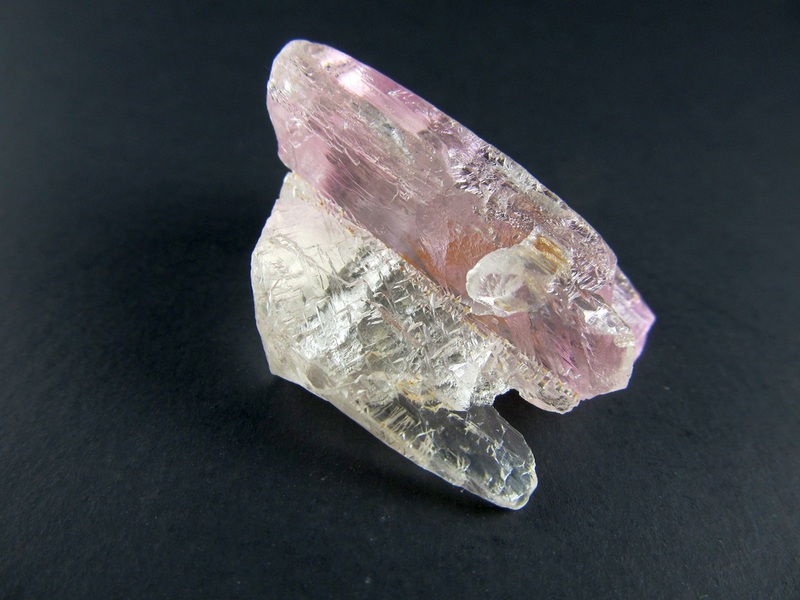 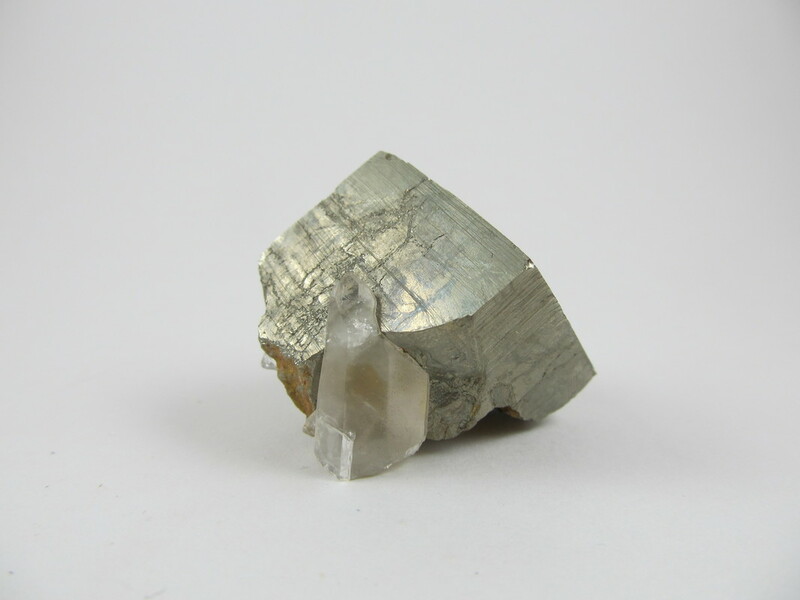 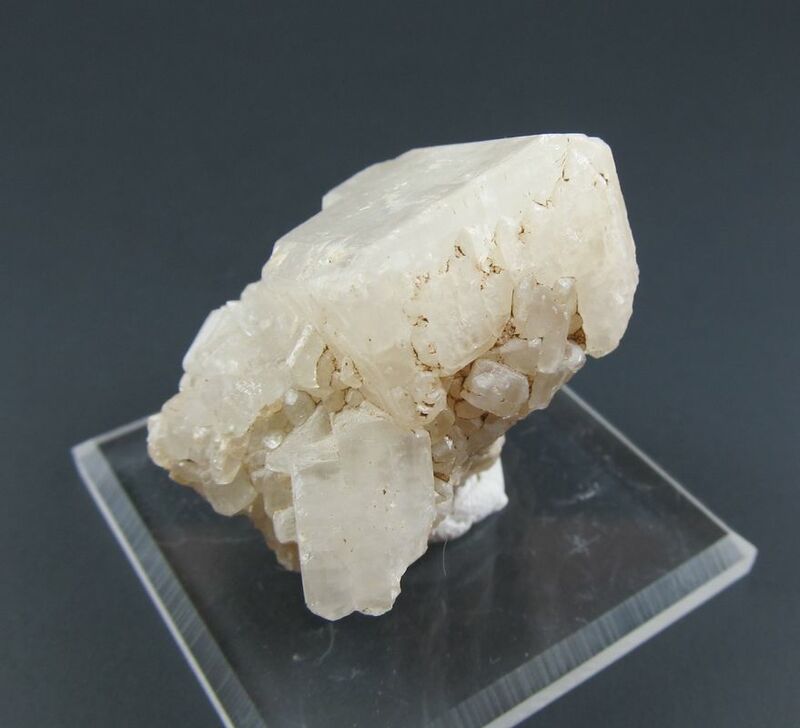 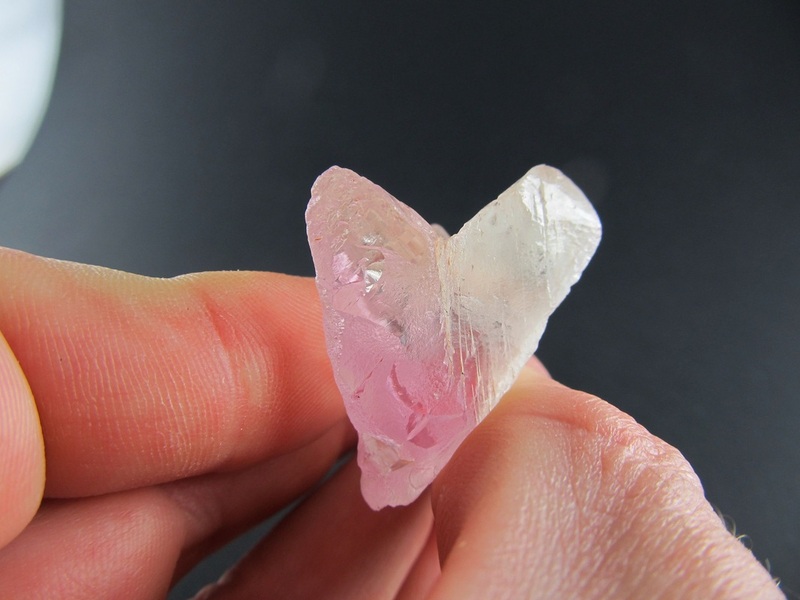 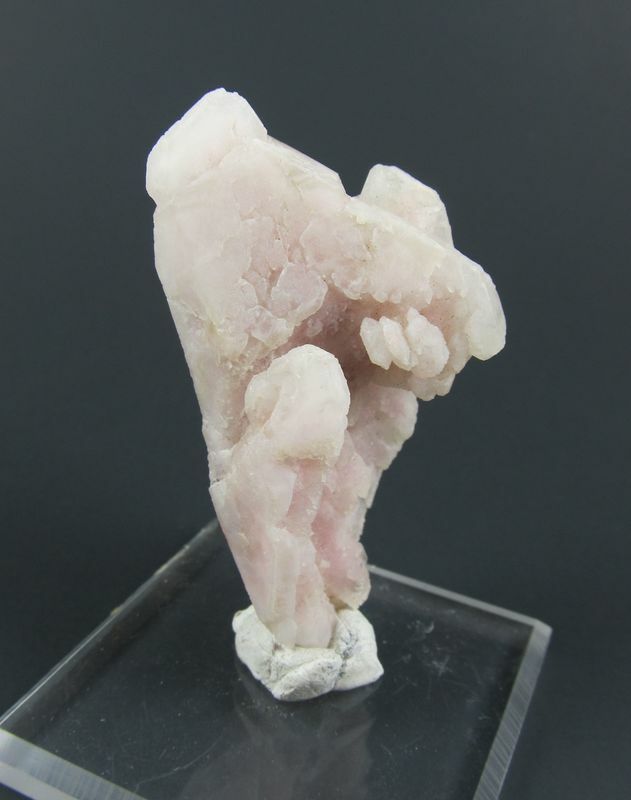 Don't miss out on this rare piece of quartz! 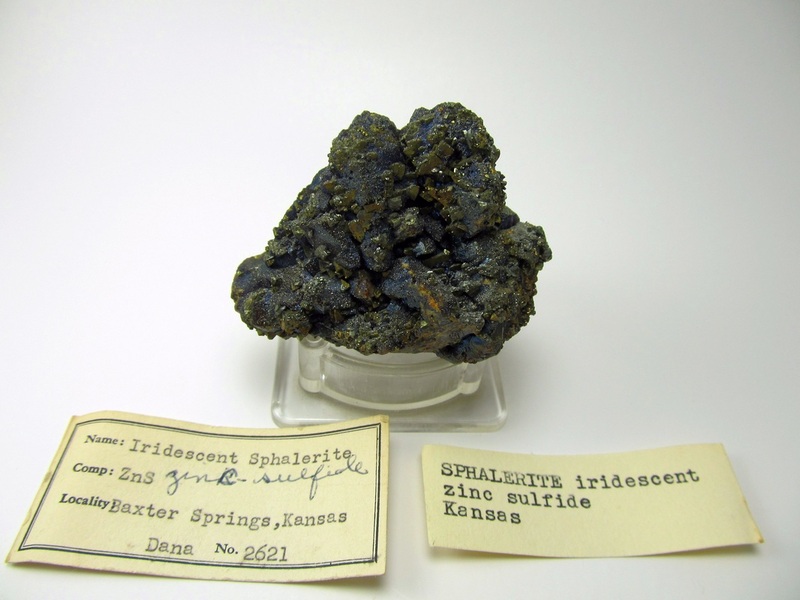 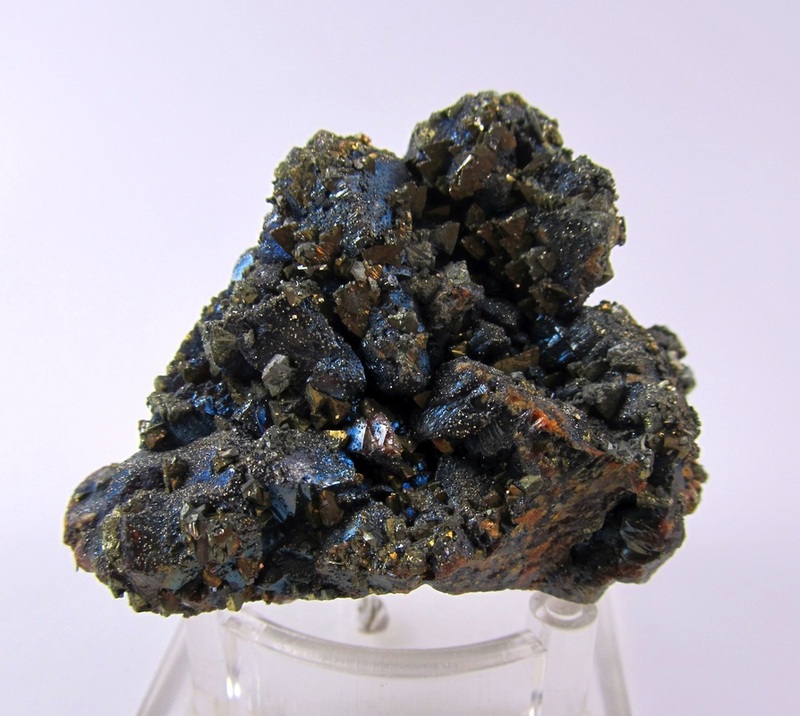 Here's a very aesthetic old time specimen of beautiful iridescent sphalerite sprinkled with golden chalcopyrite crystals. I find the iridescent quality interesting and had never seen it on sphalerite before this specimen. 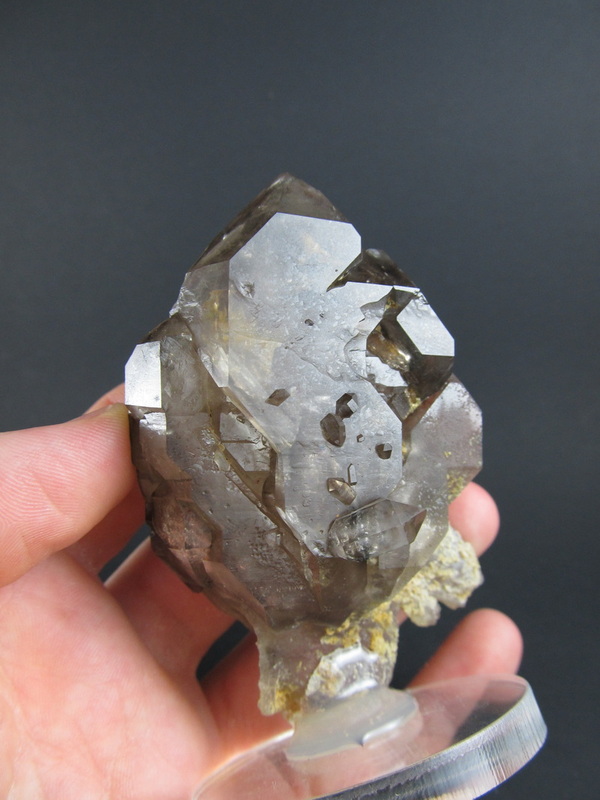 From the collection of the late Mr. Lee Orcutt, inventor of the diamond drag saw. Sweet little gypsum cluster. Numerous sand crystals attached. 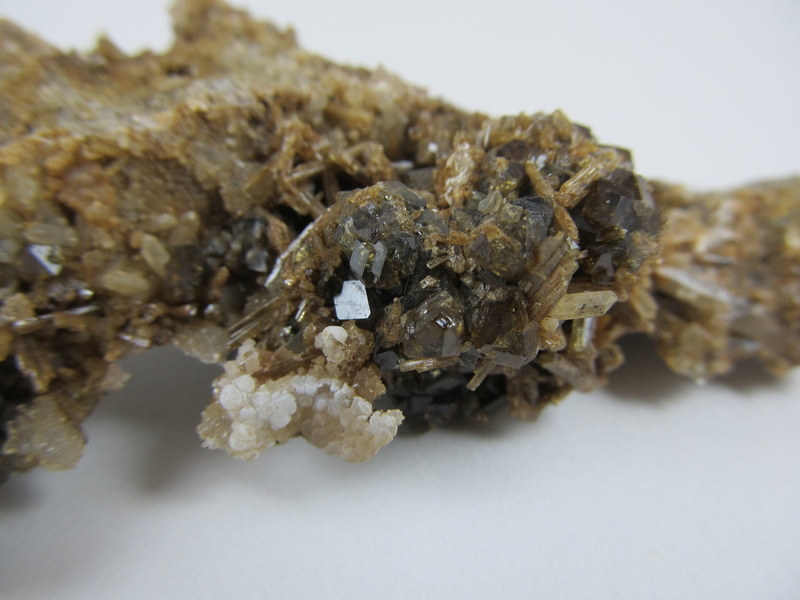 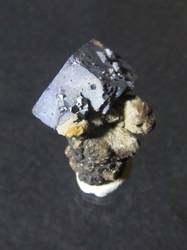 Bottom of the specimen shows nice gemmy crystal tips. Great Salt Plains, Jet, Alfalfa Co., Oklahoma, USA. 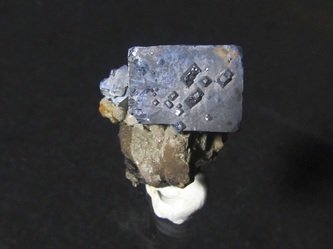 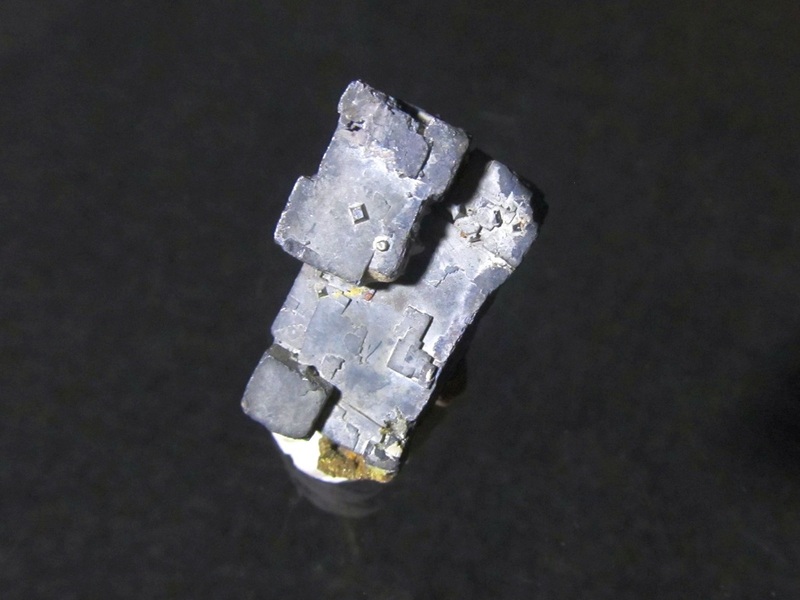 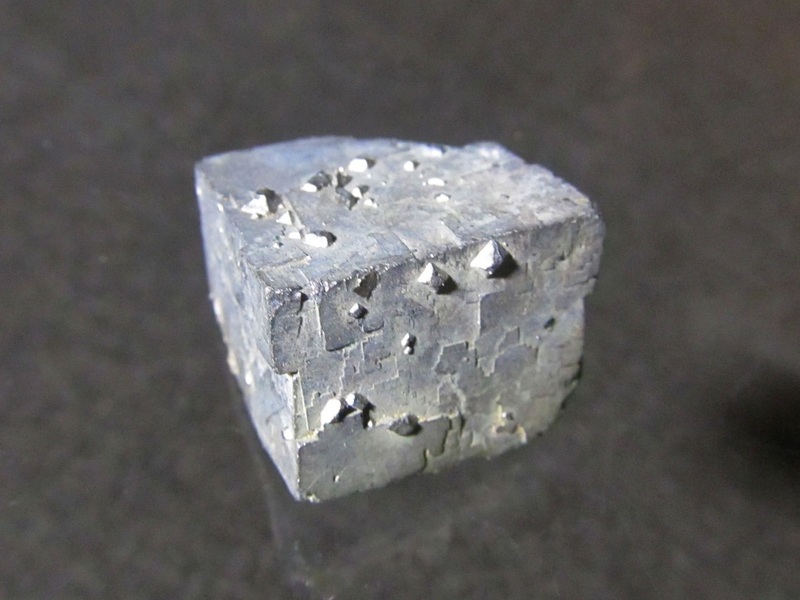 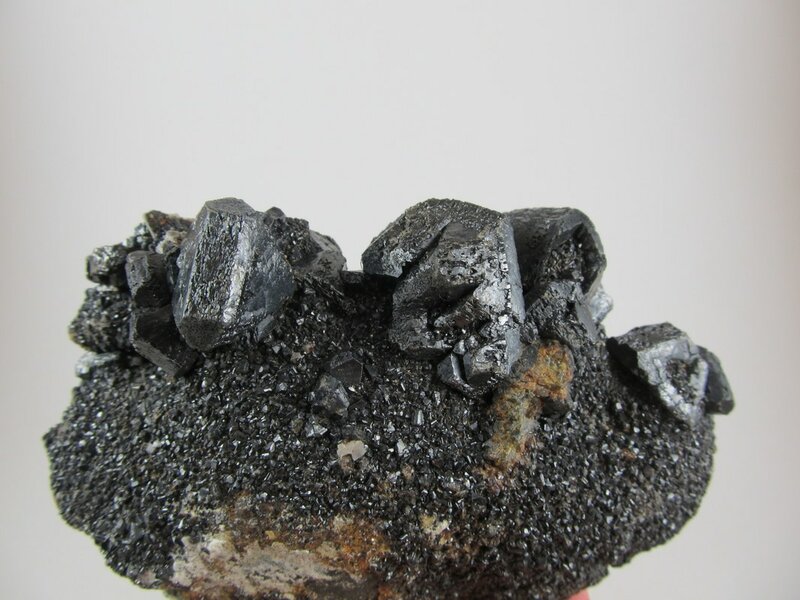 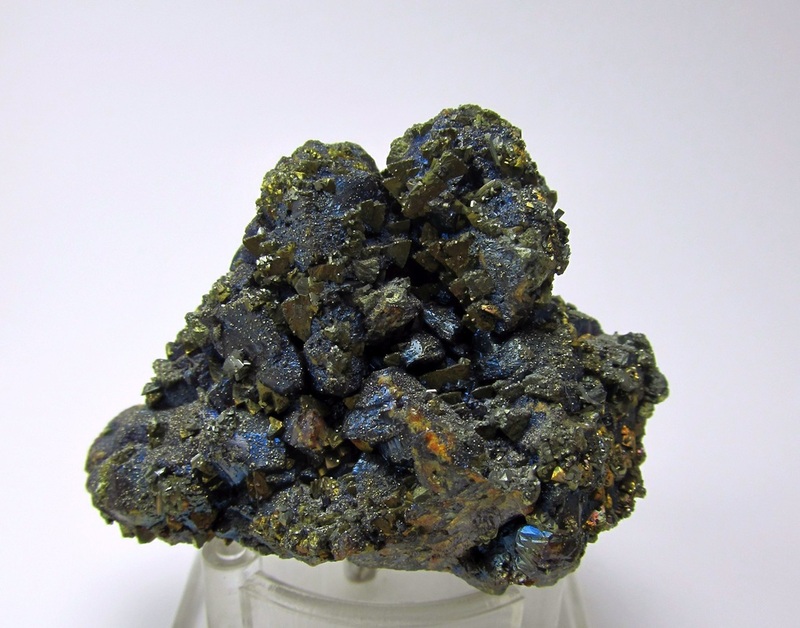 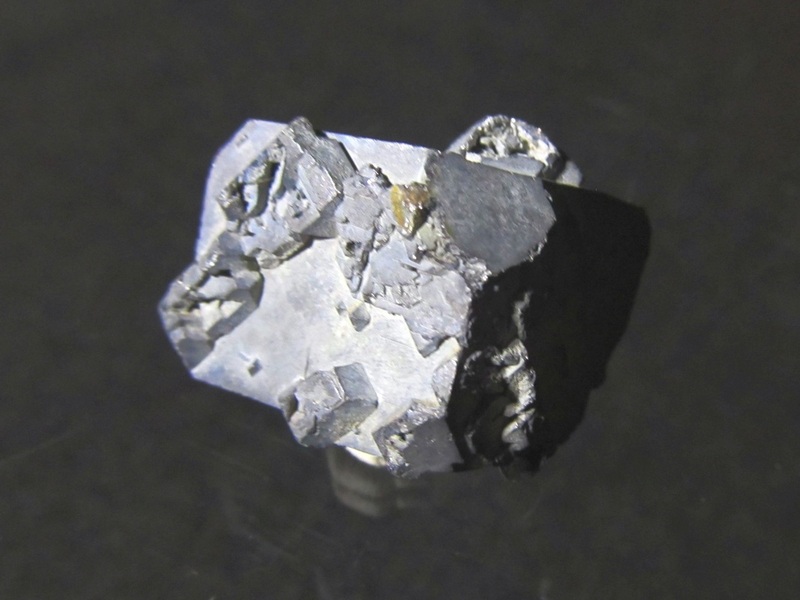 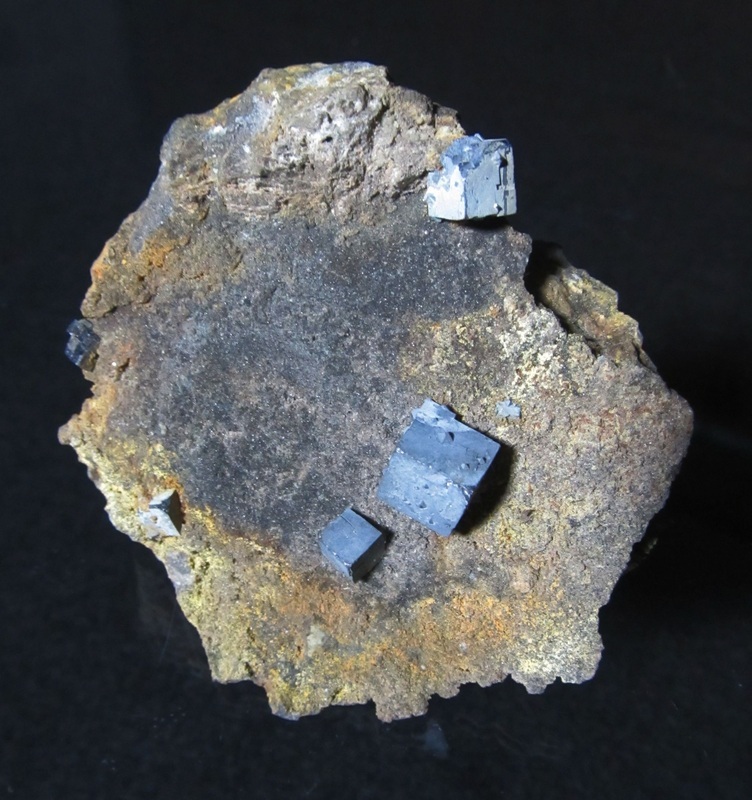 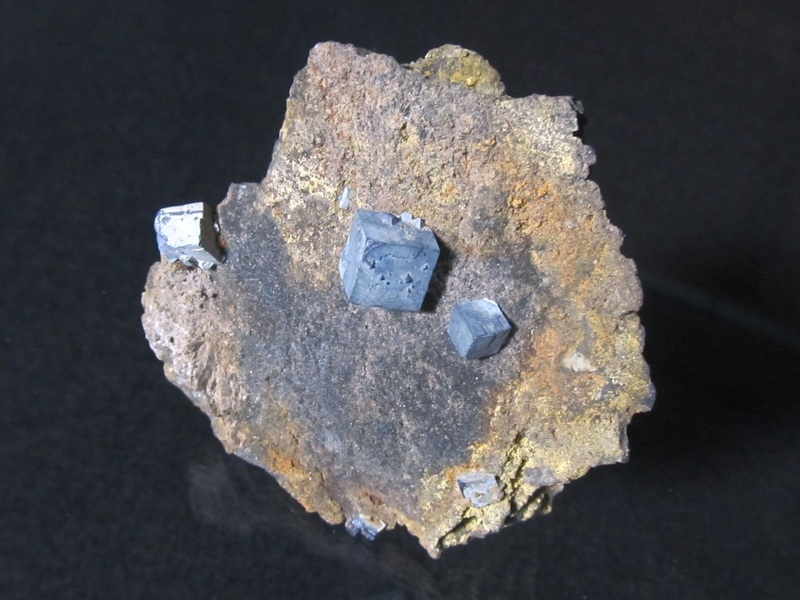 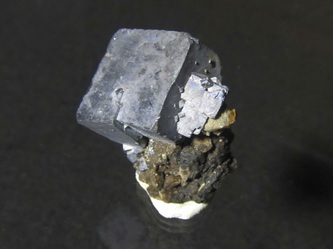 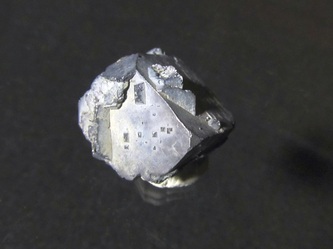 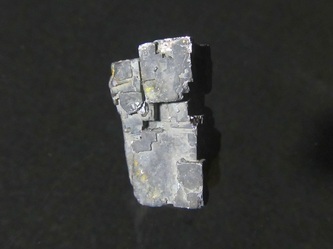 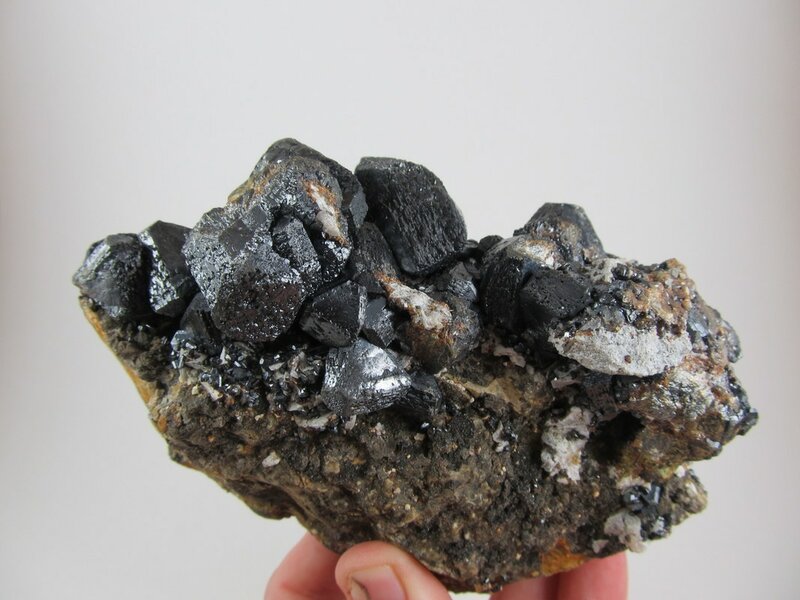 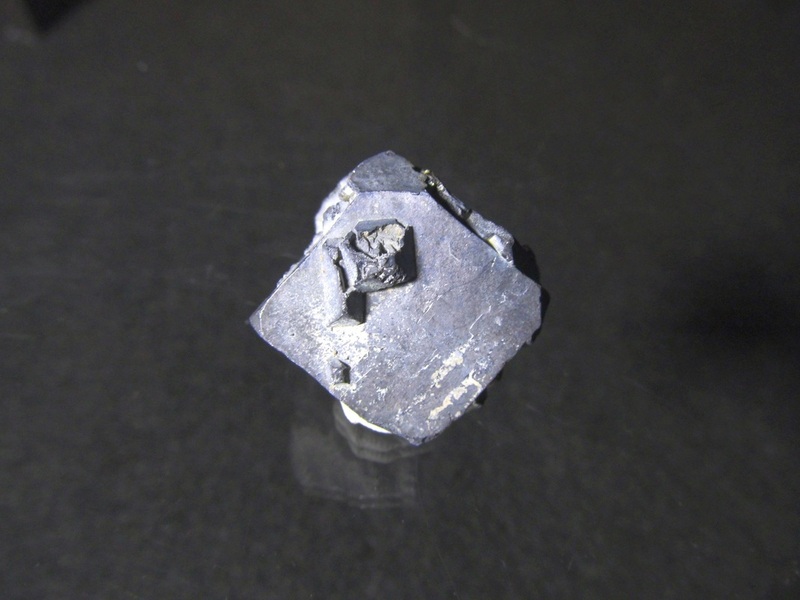 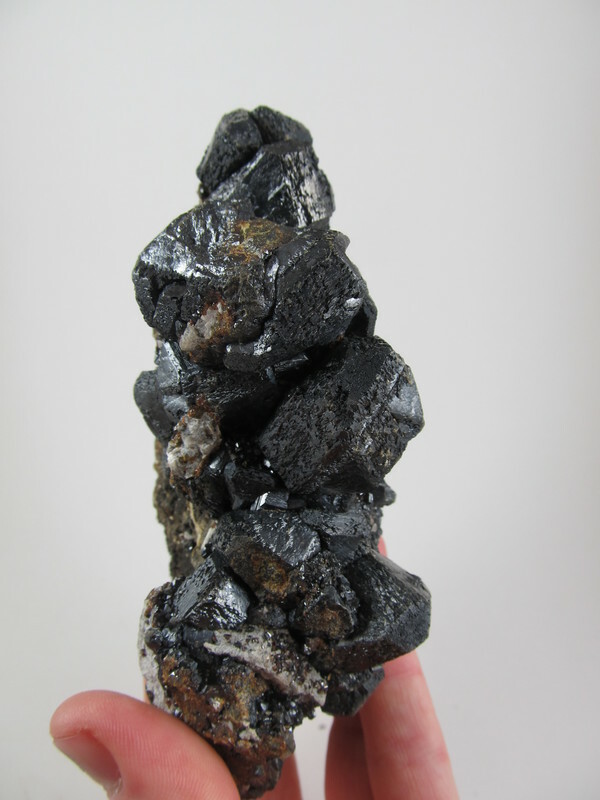 A well formed Galena specimen on a small amount of matrix, also from the defunct Tri-State Mining District of Oklahoma/Missouri/Kansas. 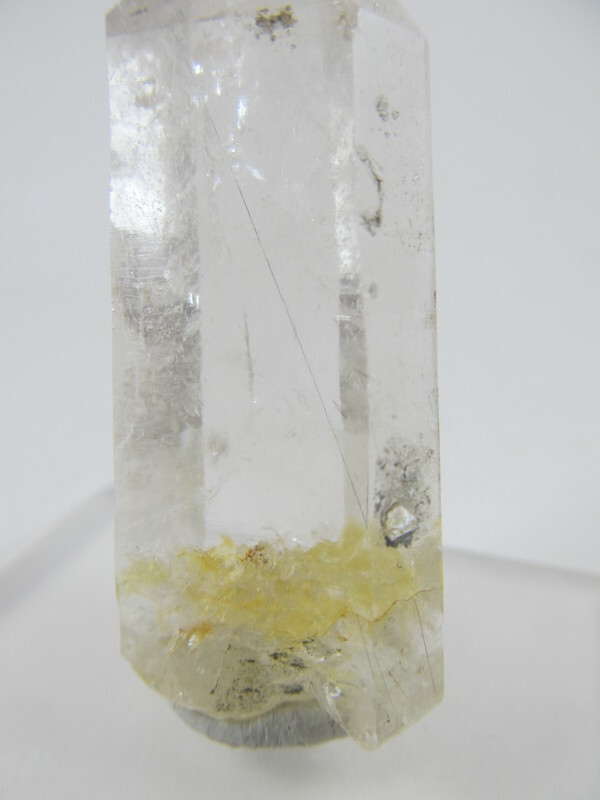 For a lack of better terms, this crystal exhibits "hoppered" like faces and is in very good condition. 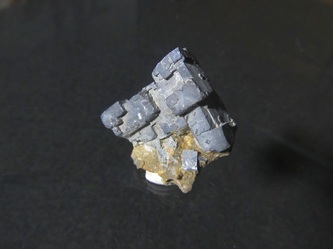 It measures in at approx. 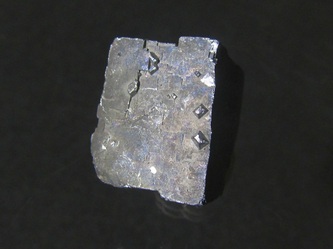 3.7 x 3.6 x 1.6 cm. Specimen GAL-4.